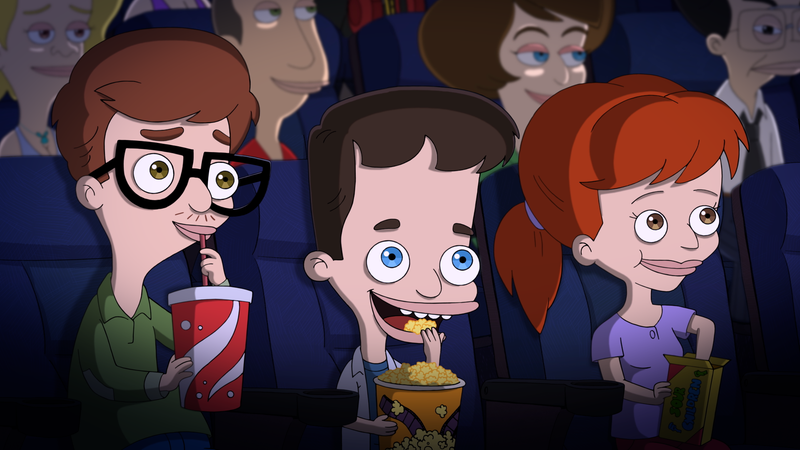 It’s a good morning for fans of double entendre and hilariously frank depictions of decidedly un-hilarious adolescent experiences: Netflix has ordered a second season of Big Mouth, the animated puberty comedy from Nick Kroll, Andrew Goldberg, Mark Levin, and Jennifer Flackett. The announcement comes courtesy of this silky-smooth promo video, in which furtive glances and self-explorations are re-edited to suggest that show business news is the one thing that truly sates the hormone monsters raging inside its four lead characters. The new season will pop up, hopefully at a convenient time, in 2018. If for some reason you’ve kept your desire to watch one of Netflix’s funniest new comedies pent up because you fretted it wouldn’t last, you can release those inhibitions. The complete first season is streaming now, but I can’t stress enough: Do not watch Big Mouth in public. Somebody drew dicks all over this thing.